Scientists have modified mosquitoes to produce sperm that will only create males, pioneering a fresh approach to eradicating malaria. In the first laboratory tests, the method created a fully fertile mosquito strain that produced 95 per cent male offspring. Since 2000, increased prevention and control measures have reduced global malaria mortality rates by 42 per cent, but the disease remains a prevalent killer especially in vulnerable sub-Saharan African regions. 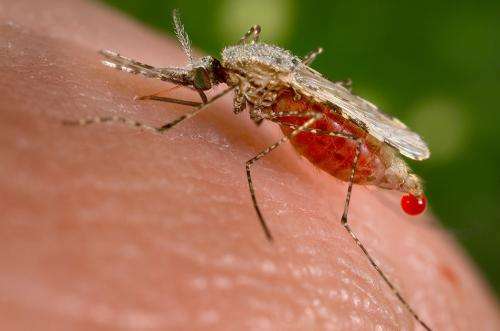 Malaria control has also been threatened by the spread of insecticide resistant mosquitoes and malaria parasites resistant to drugs. According to latest estimates by the World Health Organisation, over 3.4 billion people are at risk from contracting malaria and an estimated 627,000 people die each year from the disease. Lead researcher Professor Andrea Crisanti from the Department of Life Sciences at Imperial College London said: "Malaria is debilitating and often fatal and we need to find new ways of tackling it. We think our innovative approach is a huge step forward. For the very first time, we have been able to inhibit the production of female offspring in the laboratory and this provides a new means to eliminate the disease." Dr Nikolai Windbichler, also a lead researcher from the Department of Life Sciences at Imperial College London, said: "What is most promising about our results is that they are self-sustaining. Once modified mosquitoes are introduced, males will start to produce mainly sons, and their sons will do the same, so essentially the mosquitoes carry out the work for us." "The research is still in its early days, but I am really hopeful that this new approach could ultimately lead to a cheap and effective way to eliminate malaria from entire regions. Our goal is to enable people to live freely without the threat of this deadly disease", concluded Dr Roberto Galizi from the Department of Life Sciences at Imperial College London. But we tried 20:1 male/female ratio in some singles bars and discos and the human race still survives. Likewise its difficult to see how this can be applied to an entire population of mosquitos in order to be effective. Self extinction is surely a recessive trait, unlikely to spread to the wider population. It is really great idea to get that out into the wild so some factor ir it may finally shift to humans. As for malaria, look up Jim Humble and MMS. Works wonderfully, for five cents a shot. Probably about 500k+ (at least) cured of malaria, now, for five cents per. But... it does not make big pharma any money and it does not allow for big corporate/political/economic moves into Africa, so.....you can guess how many of you know about it and how well it is known. This is some forced darwinism we'd be playing at - and with evolution you never know in advance what you get. But with such forced evolution you can be 100% certain that we (and anything else) are not adapted to it. Because that's how genetics works, right? It'll just jump over to humans somehow. Also, fail to see how this makes big pharma any money. A whole different question is whether it's ethical to cause widespread mosquito die-off if it may cause some sort of ecological cascade. Mosquito larvae are critical in certain aquatic food chains, even if the adult stage is a human pest. The trick is to keep releasing the mutants in vast quantities, preferably female. Then the proportion of females in the total population should become largely mutant after some time, and so the population would only be maintained by artificially introducing more females. But, as I noted, does not seem ethical, and probably not very price effective. Dan browns recent book 'Inferno' was about "a vector virus that randomly activates to employ DNA modification to cause sterility in 1/3 of humans." By the time they discovered it, everybody was infected. It raises some interesting questions: Why only 1/3? And as with the bugs above, why not eliminate one gender altogether? But which one? If gaydom is epigenetic then could it be induced artificially? Im also reading the daybreak series. "In the near future, a variety of groups with diverse aims, but an overlapping desire to end modern technological society (the "Big System") create a nanotech plague ("Daybreak") which both destroys rubber and plastics and eats away any metal conductors carrying electricity." -But people like this would probably embrace a biotech that renders everyone sterile, one way or another. A whole different question is whether it's ethical to cause widespread mosquito die-off if it may cause some sort of ecological cascade. Mosquito larvae are critical in certain aquatic food chains, even if the adult stage is a human pest. I fail to see any such ethical issue. Which would you judge to be more precious; conscious human life or a few fish? I would say conscious human life. If I had a straight choice of either killing a few fish or a few humans ( and no third choice ) , I would, without hesitation, choose the former and not loose any sleep over it. I also fail to see how killing them would be likely to create a significant ecological disaster for having a man made ecological effect doesn't imply ecological disaster. DDT would be cheaper and more effective. The point is that there would be an ecological cascade. Now, in most cases it would just be a few fish. In others it may be whole species of fish, which would have further effects down the line. In other words, while in general ecologists agree that mosquitoes are not central to food webs, we can't predict whether removing them will have drastic ecological consequences. And would kill far more than the mosquitoes. As would salting the land with pulverized radioactive waste from our nuclear reactors. After a while I can guarantee nobody in the region will be affected by malaria any more. And if you don't think we are talking about exactly the same side effects, you are being disingenuous. Great. Now they're making gay mosquitoes. Thanks Obama!